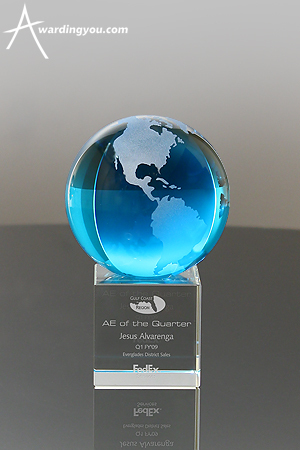 Custom designed awards in the shape of the company's logo, created in several sizes to present to all employees, the Board of Directors, and major vendors and customers. Desktop gifts presented to all employees, engraved bowls filled with candy given to their top 100 customers, and commemorative plaques for their top 50 vendors. For one company's 100th anniversary, the company had planned an Open House, and invited customers, vendors, the mayor of the town, local press, and employees. We designed a commemorative award with "To the Next 100" worked into the theme. For a company's first anniversary, we engraved a plaque for each employee that included a thank you letter from the president of the company, a photo of the plant and all employees, and the date. A larger version of the plaque was created for their lobby and their main conference room. No matter what the number, there are many options for creating a commemorative groups of awards or gifts for your company anniversary. Email or call us and we'll be happy to design exactly the right product for your big day.